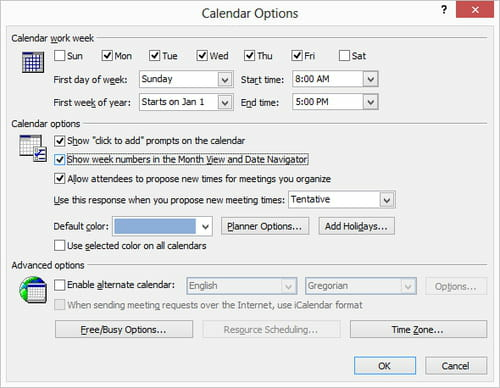 Go to the "Preferences" tab > Calendar. 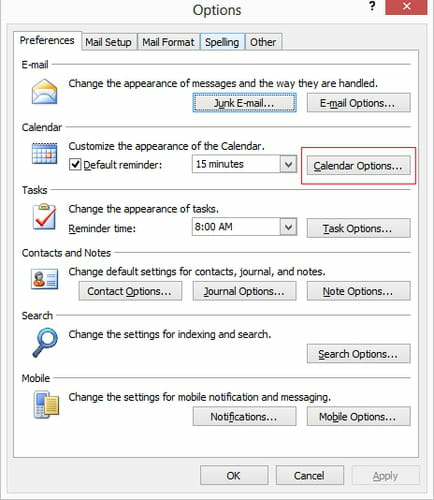 Click on the "Calendar Options" button. Check "Show week numbers in the Month View and Date Navigator". Published by deri58. Latest update on September 13, 2013 at 05:25 AM by deri58. This document, titled "Outlook - Show week numbers in the Month View and Date Navigator," is available under the Creative Commons license. Any copy, reuse, or modification of the content should be sufficiently credited to CCM (https://ccm.net/).